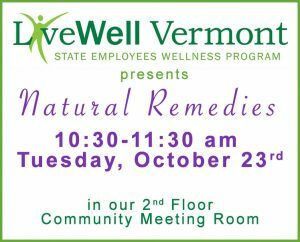 Join us on Tuesday, October 23, 2018, from 10:30-11:30 am for aLiveWell Vermont presentation about natural remedies. This is the first in a series of events here at Brooks Memorial Library for the Governor Scott’s “Capitol for a Day” initiative. 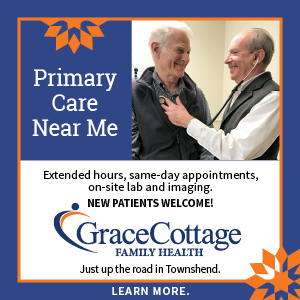 They will present information about natural ways to alleviate pain, and a variety of other complementary medicines in the second floor Community Meeting Room. This event is FREE and open to EVERYONE! For further information, you may email dhr.livewellvermont @ vermont.gov, or call (802) 828-2806.